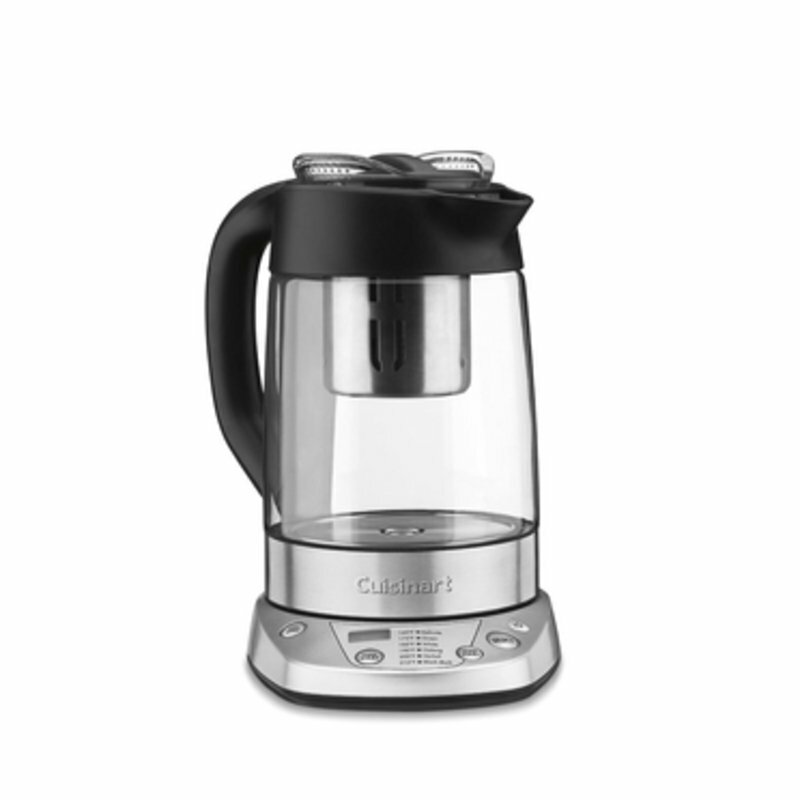 Tea is a matter of taste, so Cuisinart introduces a new programmable tea steeper that lets tea lovers call the shots. Preset water temperatures ensure each variety of tea steeps at the proper temperature. A countdown steeping timer can be adjusted to increase or decrease steeping time according to taste. Or remove the stainless tea infuser to turn this tea steeper into a kettle by putting on the "kettle lid" on; and heat up to 1.2 liters of water fast. The Cuisinart TEA-100 PerfecTemp Programmable Tea Steeper & Kettle is versatile, easy and adjustable-let us guide you with our pre-programmed settings, or call the shots yourself for an experience all your own. Your pot of tea has never been so easy or so good!